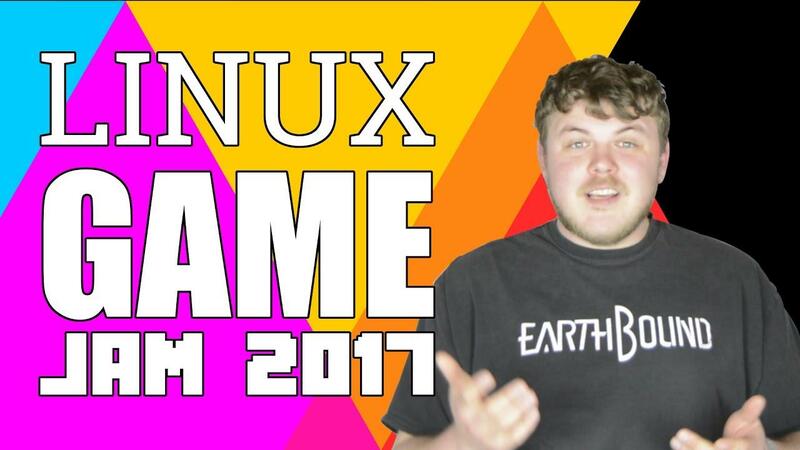 'The Linux Gamer' has officially launched 'The Linux Game Jam 2017' which starts in a few days time! Will you be joining in? For those that don't know, a 'game jam' is where you crank out a quick game in a short period of time for fun and sometimes for a prize. It starts Thursday 16th March and it will end on March 20th. - Your game's art assets and programming should be made within said time frame. - Your game must be submitted to the itch.io page. - Your game must have a Linux build. - Your game can use Godot, Unity, Love2d, any others, or your own custom built engine. Will be interesting to see what gets made in that time, as it's not a lot of time to prepare. I will likely do an overview of the games made during it once it's all over. I've signed up and will probably try to come up with something, even though I'm absolutely hopeless at anything graphical. Should be able to put together something arcade-y in Godot though. I think that "Your game must be submitted to this page." should be edited to clarify "this page" is the itch.io page for the jam and not the comments here. as someone that is trying to work in games, i think i should participate of more game jams, never did it before, looks cool, but i wouldn't be able to produce enough assets in time, and if we aren't allowed to use even the starter content from the engines it would be really hard if i take in count my skills with making models and materials, plus it would take me something near an entire day to upload my project. stan I think that "Your game must be submitted to this page." should be edited to clarify "this page" is the itch.io page for the jam and not the comments here. the "programming" should be in the period of time is really relative, since unity and others have all rendering, physics and etc done. If im code a game using code i have made by my self for other game it wont fit in the rules? I very much enjoyed the one GoL did previously, I'll be keeping a close eye on this! I wouldn't even know where to begin coding a game, so I won't be participating, but best of luck to all those who do. Can you team up with people? veccher as someone that is trying to work in games, i think i should participate of more game jams, never did it before, looks cool, but i wouldn't be able to produce enough assets in time, and if we aren't allowed to use even the starter content from the engines it would be really hard if i take in count my skills with making models and materials, plus it would take me something near an entire day to upload my project. You can always use squares and circles though. Cuts down on the upload time, too ;). I think you can totally make a valid game by re-using content. As long as it's a good one! Man, and I start my new job on the 16th, so no time to participate.